This West Asheville tiny house is designed to have all the comforts of home in a 400 square foot package! 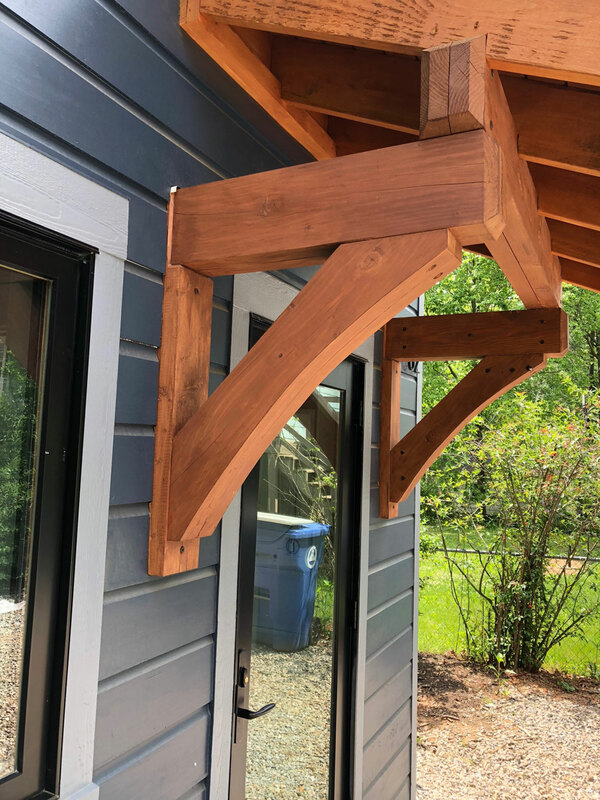 Our eco-design features a spiral staircase and covered porch with custom timber details that make this renovation truly unique. 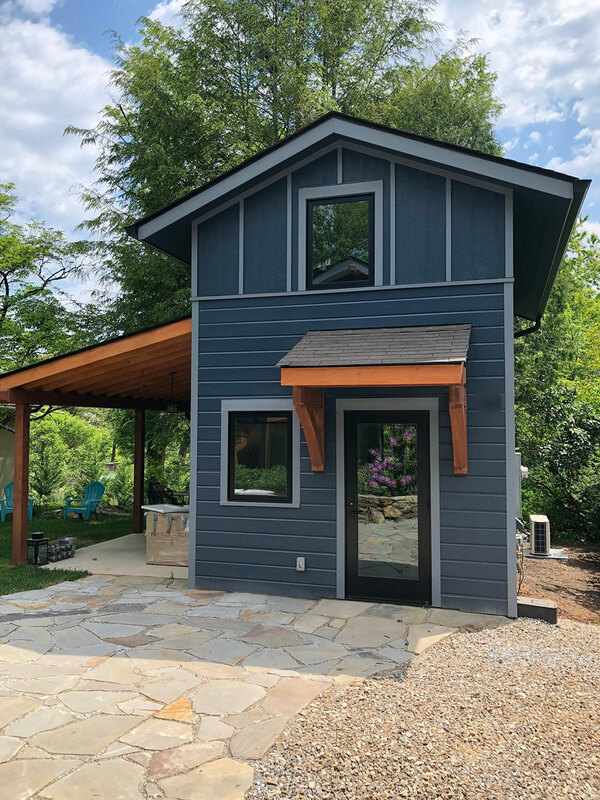 This tiny home was built in conjunction with our West Asheville Remodel. It too was featured on the popular YouTube channel Threadbanger. The vision for this build was to give our clients extra space for guest and also serve as a studio space when vacant. The structure is comprised of a 12’x28’ footprint with a 10’X21’ covered porch. The ceilings are vaulted and there is a loft space above the kitchen that is accessible via a spiral staircase. The loft features enough space for a queen bed and small desk. This tiny house is designed to have all the comforts of home in a 400 square foot package! Unique features: spiral staircase, vaulted ceilings, custom timber details, full size queen bed and fully functional kitchen.